Head to your local garden store and pick-up a plastic set of tools—shovel, trowel, rake, and maybe even in a bubble making lawnmower—so that your kids can join you as you root around in the earth and flowers this summer. Not only will your kids begin to appreciate the greenery, but you can also teach them important lessons on respecting and preserving nature. Maybe your kids haven’t yet chosen their sport of choice, so why not spend a day at the park where you can bring a few options to the table, like a soccer ball, volleyball, football, or even a stopwatch for some running some races. Just like spending time in the garden, getting your kids involved in the kitchen is a great way for them to develop an interest that can last a lifetime. Try staying away from overly complicated recipes, and let your younger kids concentrate on the simpler tasks, like peeling carrots and potatoes, tossing the salad, or kneading the pizza dough. 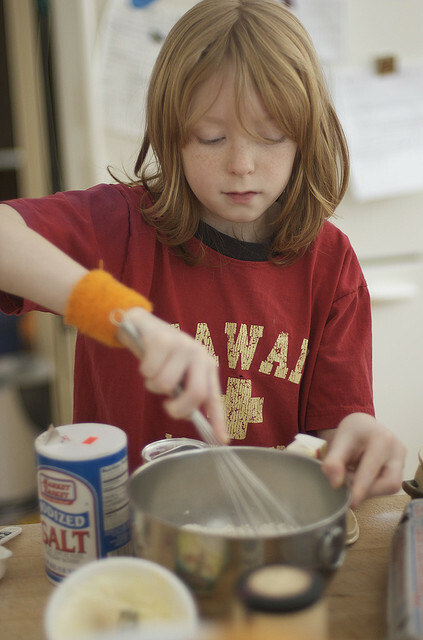 Baking is also a fun way to teach patience and the use of measurements. There is no better way to get your kids started on a positive academic career than to foster an interest in reading and writing. Most public libraries have children’s reading programs that bring authors to read to the kids and discuss the importance of literature. If you’re not sure what to take out, the librarians will be able to help your kids select books that suit their interests and age. If libraries are the way to pique your kids’ interest in reading, than galleries and museums can be the pedestal for a burgeoning interest in art and history. Most museums and galleries have interactive exhibits for kids, and transferring that interest to painting, sculpting, and papier-macheing at home is simple and fun. Some libraries have museum passes you can check out like a book, for free. However you decide to spend your summer, be sure to make it a time where you and your kids can grow closer, before the school year comes back around.